Shiloh Eagles picture by Jay Poindexter. I’ve had the wonderful pleasure and excitement of watching eagles at the nearby Shiloh Nat’l Park as they have nested, hatched one eaglet, and now as they bring fish from the Tennessee river to feed this little one. I’ve watched as this little one is shedding downy feathers and stretching his wings in preparation of flight. Father, as I look at your glorious creation, let me never forget Your love for us, your sons and daughters! 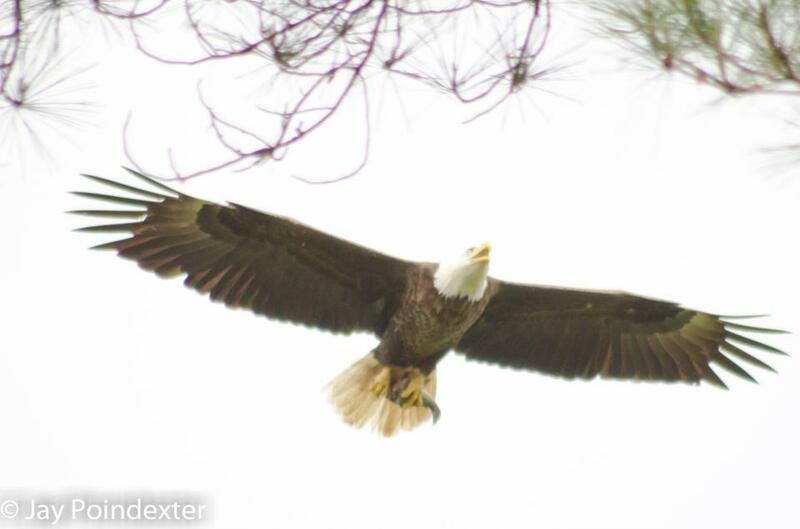 You watch over us, make provision for us, and when we just ‘cannot make it any further’ in our walk in this world, You, The mighty eagle, swoop down with your spectacular, majestic wings and you lift us up, you carry us onward to our next place!! Thank you, Father for this reminder of who you really are! Posted on April 26, 2012 May 11, 2012 Categories DevotionsLeave a comment on Shiloh Eagles!